Randy Williams, Back in the House! 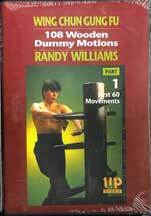 Turn in your toes, settle into your stance, and brush off the wooden dummy…Randy Williams is BACK at Plum! 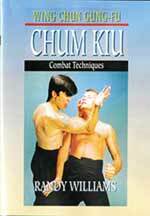 It has been a very long wait (too long, in our opinion) but we nagged and cajoled the publisher until…Randy Williams’s great DVD series is back in print and once again available at Plum (for those of you waiting, the very first DVD is still a’coming). Check out the listings (there may even be a couple you haven’t seen before!) and remember: the Plum discount is ALWAYS 10% if you buy two or more of his DVDs. Below are just a few of the new and restocked titles (by the way, they have changed the covers on many of these…will post those soon!)…. Posted June 5, 2010 by Plum Staff. Comments are closed on this post, but you can trackback. 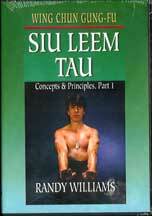 Tagged with: bil ji, biu jiu, kung fu, Randy Williams, Wing Chun, wing chun pai.